Mr. Energy is what they call him. On the floor, from the bench, Darik’s motor is running at top RPM’s. He was a graduate of South Hills High School in West Covina, CA in 2014 where he averaged 10.9 ppg, 5.8 rpg and 1.9 apg.. He transferred to Just Hoops Prep School in Arizona and now has joined Antelope Valley College. Derik has a 6’6” wing span, 30 inch vertical and has a solid mid-range and three point shot. He slashes into the paint and is willing to battle with the “big boys” for rebounds with his leaping ability. All he needs now is time to learn the AVC system and team mate proclivities. 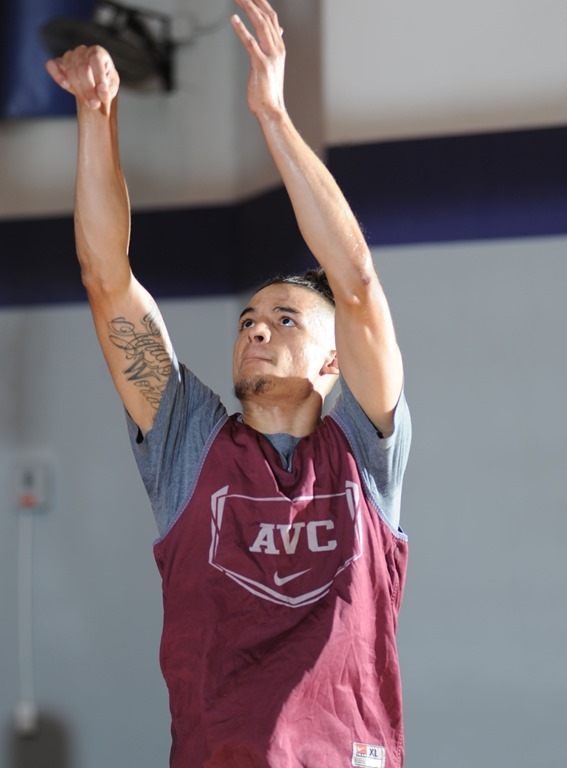 Derik’s major is Kinesiology and his goals at AVC is to get his AA degree and help his team win the JUCO state tournament. Longer range goals include playing university basketball and get his degree. He hopes to play basketball at the highest level possible in the future. Pradia feels his motivation and work ethic are his strongest points. He is looking forward to working with the coaching staff including Coach Murphy who brought the AVC program to his attention.